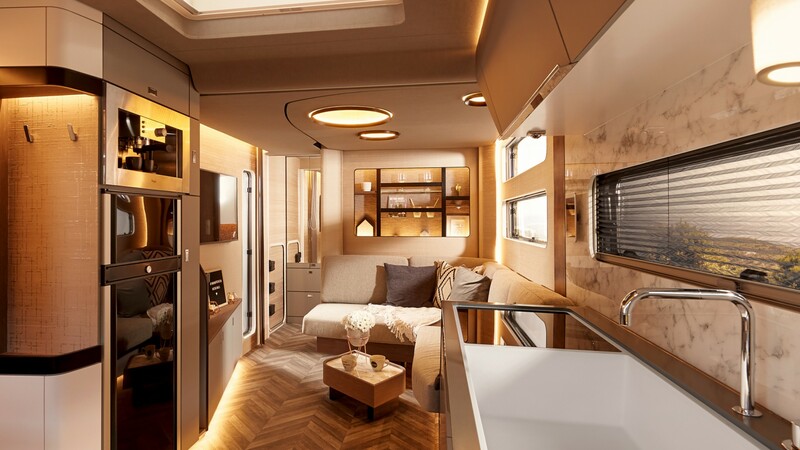 The feeling of being in your own apartment when you are actually travelling, new materials, mobile lighting, innovative shapes and sophisticated details- that is what the study “Harmony 2017” embodies. 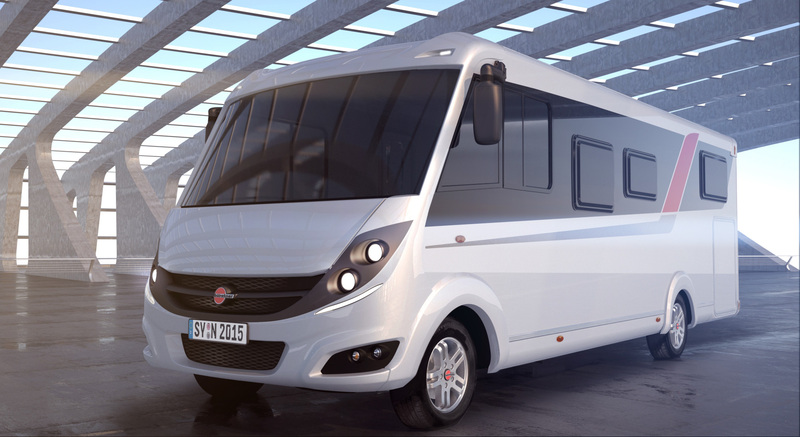 It was presented at the first time at the Caravan Salon in Düsseldorf. Based on the separately announced Ixeo I series STUDIOSYN designed intelligent solutions for tomorrow. 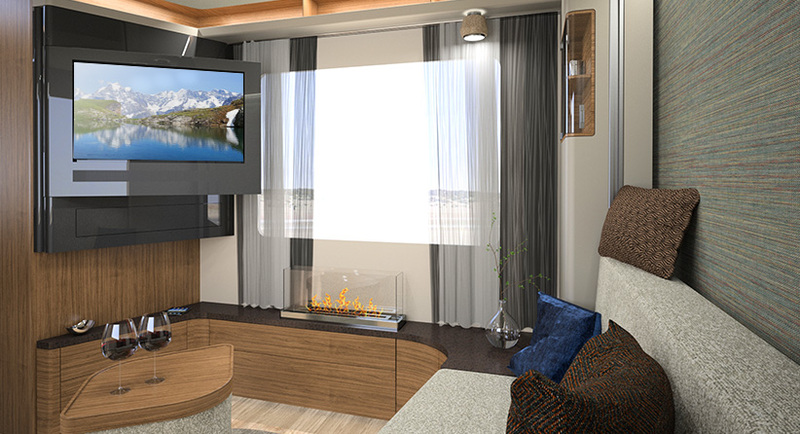 By using many surfaces and light, STUDIOSYN has managed to create a very cosy three room apartment in a caravan. 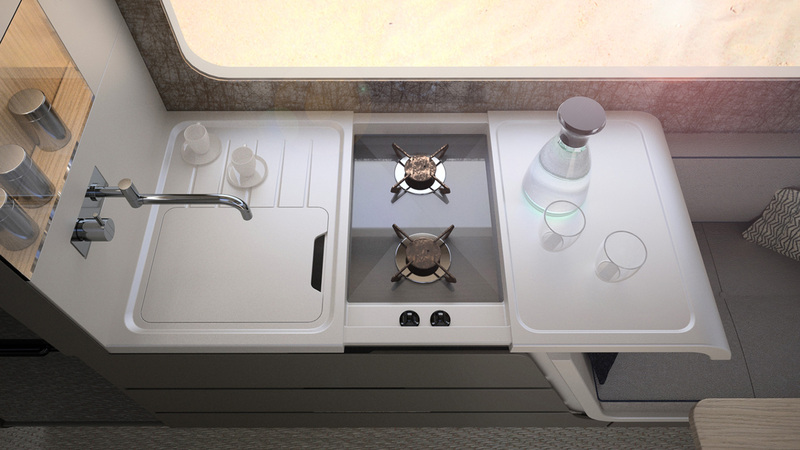 To combine the kitchen and the dining area, the product design is based on flowing and dynamic form. The flowing surfaces continue in the living area, where the elegant sideboard merges into the comfortable XXL Lounge and creates a spacious atmosphere. An ethanol fireplace which can be used inside and outside, a media wall with a 32 inch flat screen TV and a stool that can be used as a table are some of the highlights in the living room. The back of the sofa can be easily slided down to make room for the french lift bed this way the living room turns into a cosy bedroom for two. 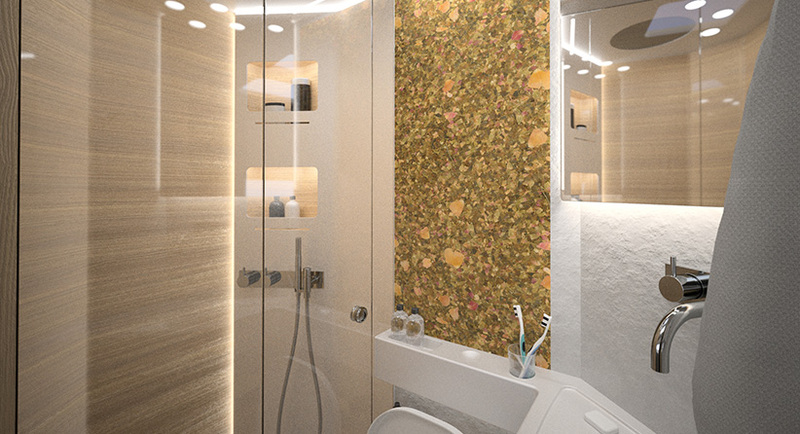 Natural wood, a wall made of pressed rose blossom patels and a rain shower bringing a special spa atmosphere into the spaciously bathroom. 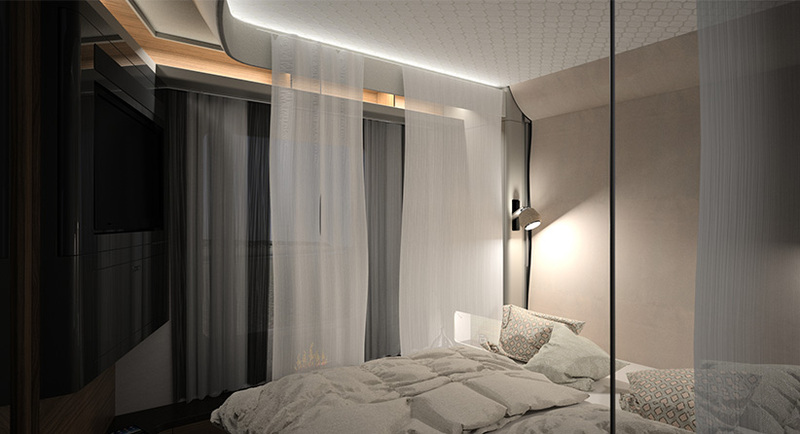 In the course of the study STUDIOSYN also developed an innovative lighting concept. Independent battery operated reading lights turn into a torch or a desk lamp and can be placed where they are needed.